Over 4 billion prescriptions were written in the U.S. last year. The total annual cost of these prescriptions to the American public in 2012, according to the NY Times, was $325.7 billion. This cost could have been much higher were it not for the generic drug sales, which account for 84% of all prescriptions. 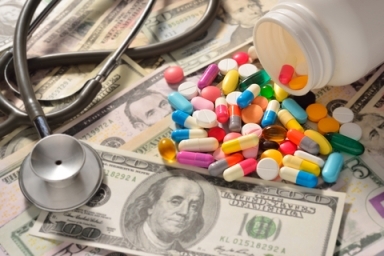 The pharmaceutical industry according to the annual Fortune 500 survey is the most profitable industry in the U.S. with a return of 17% on their revenue. Most of us are in an unfortunate cycle of being drug-dependent. No, this is not the dependency on the street version of illicit drugs, such as cocaine, crack or heroine. It is a dependency on the big pharmaceutical companies and their germ-fighting prescription products. We have gotten to the point where most of our society believes there is a pill for every illness. This dependency on the products by the major pharmaceutical companies is the result of the billions that they spend to make the American public believe that there are solutions to major depressions, clogged arteries, sleep deprivation, and even infections from colds and flu … inside a pill bottle prescribed by your doctor and produced by this pharmaceutical industry. Doctors are not always to blame for over-prescribing. In the U.S., at the first sign of a stuffy nose, sore throat or sinus infection, those that are fortunate to still have good health insurance typically run to their doctor for medicine. While a flu or cold typically cannot be treated by antibiotics, and doctors these days are hesitant to over-prescribe antibiotics, there is this expectation that for the $100+ cost of the office visit,our doctor owes us that valuable piece of paper with the prescription that is going to make all of those aches and pains go away. In most cases your own immune system is more than capable of handling minor cold infections without the need for prescription drugs. In fact, antibiotics may only cause you to weaken your natural immune system. If you need to be in contact with coughing, sneezing or sick people, wear a mask. In most cases your cold or flu will be over within a few days. 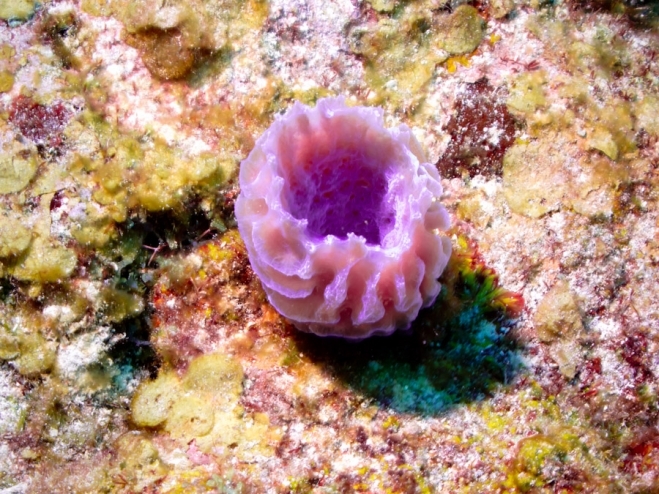 The underwater picture of the week is a healthy coral formation in the western Carribean. It is a lot easier to capture stationary objects underwater than the less-cooperative fish. Pat - As kids we always were immediately given antibiotics for colds, flu etc.If you didn’t get a penicillin shot..it seemed that you just wouldn’t get better.Drug company reps are regular visitors to doctor offices.Sadly.Just give a pill..a potion..but hey, that cold may just be a virus and not an infectious disease or disorder.So that antibiotic capsule, that potion may just be setting up a secondary disease..again..getting rid of the good bacteria. Stop the viruses in their track! Take Seagate products..prevent and maintain…be a smart and informed consumer..check the web site! Try a bottle of just one product..
avoid prescription drugs unless they are vital to ones well being! Elena Vo - Sleep and rest are one of the most important ways for me to stay healthy. When I’m fully rested, I tend to make better choices about food/ exercise/ work loads on that particular day, and I completely agree it helps to ward off colds and other respiratory infections. Lori Lemke - I use a host of natural remedies for a plethora of ailments. I haven’t bought and prescription or OTC medication in many years. In addition to my essential oil and netti pot are several Seagate products!